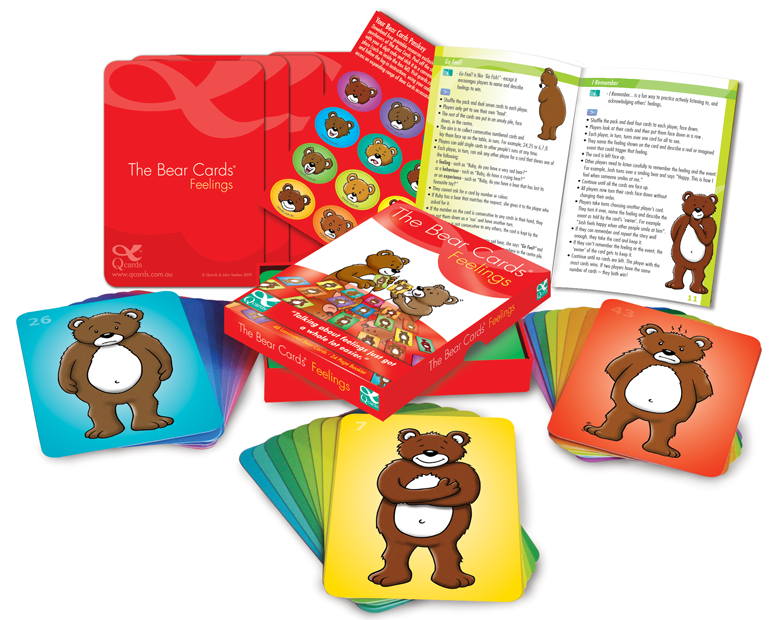 The Bear Cards is a set of feelings cards featuring endearing bear characters that will enchant and inspire you with their open and honest portrayal of a wide range of emotions. Q-Cards is proud to announce the arrival of “The Bear Cards – Feelings“. As the overwhelming majority of our Bear Cards buyers use the Bear Cards with children we have changed the information booklet to include more activities suitable for children.The box is now satin laminated and the cards feature the same 48 endearing bear characters. The sets also include a passkey to the Bear Cards Downloads, which have been extremely popular.